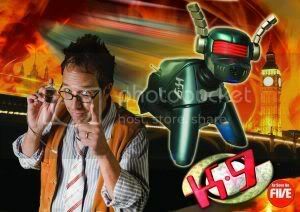 The first part of the Park Entertainment series K9 will be released on DVD in the United Kingdom on the 31st January 2011. The cover for the release specifies this as the Complete Series 1; however, this is attributed to Channel Five splitting the series into two halves, and will actually only have the first run of episodes broadcast on the channel (see below); a second DVD (the Complete Series 2) is expected to be released on 7th March 2011, containing the rest of the episodes from the series. The complete series was released as a single boxed set in Australia at the end of September. 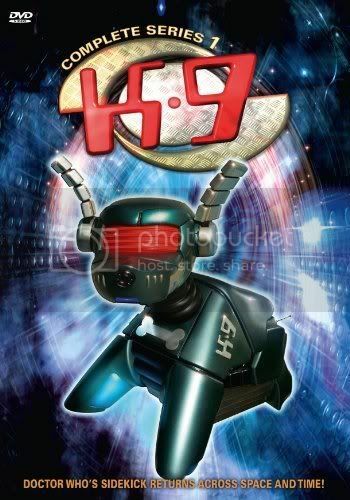 K9 was first transmitted in Australia on Network Ten and in the UK on Disney's digital channel XD (though the UK run was incomplete); a second series of the show is currently in development. Transmission on Channel Five kicks off this coming Saturday from 10:00am, and is expected to reach a wider audience for its 'terrestrial' broadcast. The show will be shown daily over the Christmas period until New Year's Eve. As noted above, the channel is broadcasting the series in two halves, with the rest of the series due on air around Easter 2011. Five have a special trailer for the series, featuring a voiceover by John Leeson (in his own voice, not K9's!). You can also find the original series trailer from 2009 on YouTube.